Being a world leader, we can only assume, takes up a lot of time. So we totally understand that political figures past and present, from Abe Lincoln to Che Guevara to Hillary Clinton, haven't quite had room in their schedules to keep up with the latest trends and adjust their signature looks accordingly. But what if, in some alternate universe, your favorite politicians took a hiatus from their legislative duties to update their haircuts, wardrobes and tattoo games? 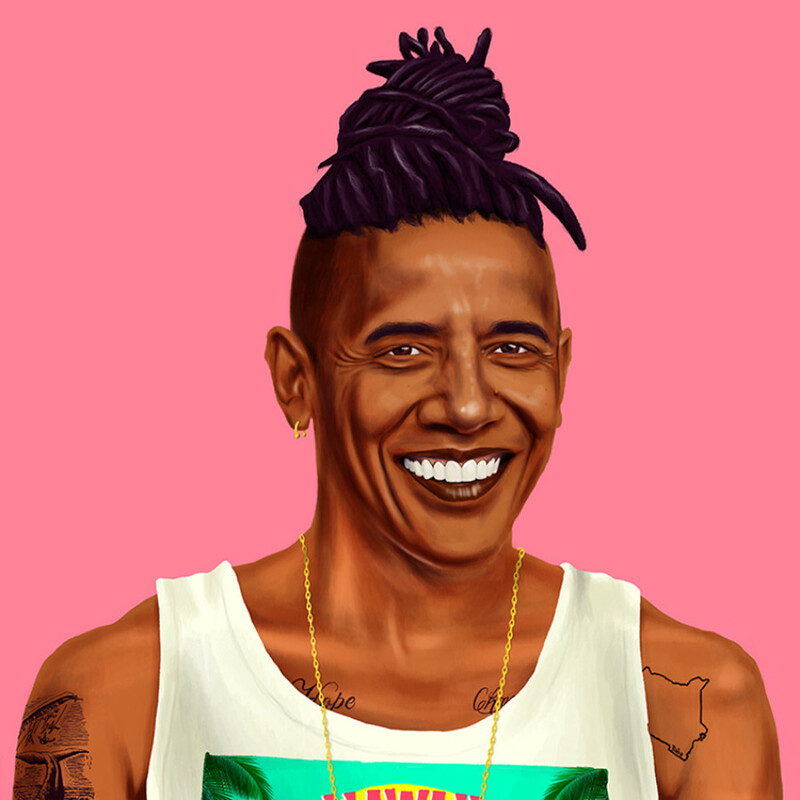 Artist Amit Shimoni imagines such a world in his illustrated series "Hipstory." And though they may not be accomplishing quite as much in the way of political activism or diplomacy, we have to admit they look damn good. Barack Obama sports a dreadlocked topknot while Hillary Clinton opts for a candy-colored ombré cut. 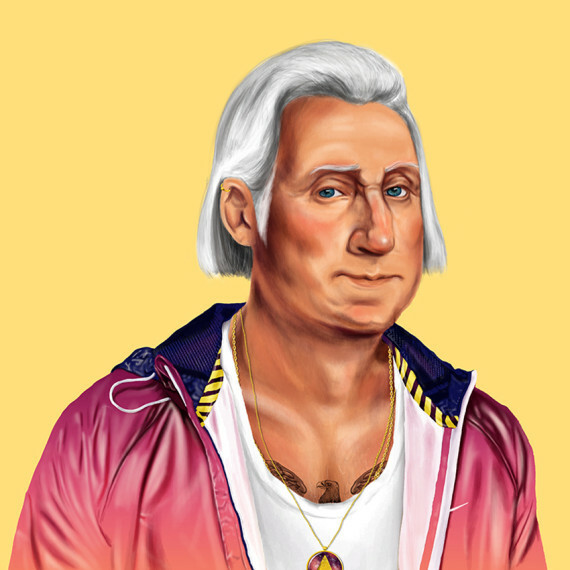 George Washington flaunts an eagle chest tattoo peeking out from atop his low-cut tee, and Ronald Reagan sports a flashy diamond stud. "The history of the last century is heavily defined by its prominent figures," Shimoni explained in an earlier email to HuffPost, "the main leaders who shaped the course of history. I often find myself imagining a world where some of these leaders are less interested in influencing lives, and more focused on their own persona." Shimoni's vibrant portraits access a realm where past iconic figures become obsessed with contemporary anxieties, like looking super cool. Placed against striking, saturated backdrops, the square illustrations resemble Instagram uploads that never were. Shimoni's project doesn't intend to criticize the current youth generation and its interest in cultivating a desirable persona, but rather to shed light on the different ways we've visualized ourselves throughout history. "It is my hope that this series will encourage us to reflect: upon our leaders, our society, and ourselves," the artist adds. "And failing that, HIPSTORY will at least make us smile." See Shimoni's delightfully preposterous images below and let us know if you wish Hillary would opt for a similar look IRL. 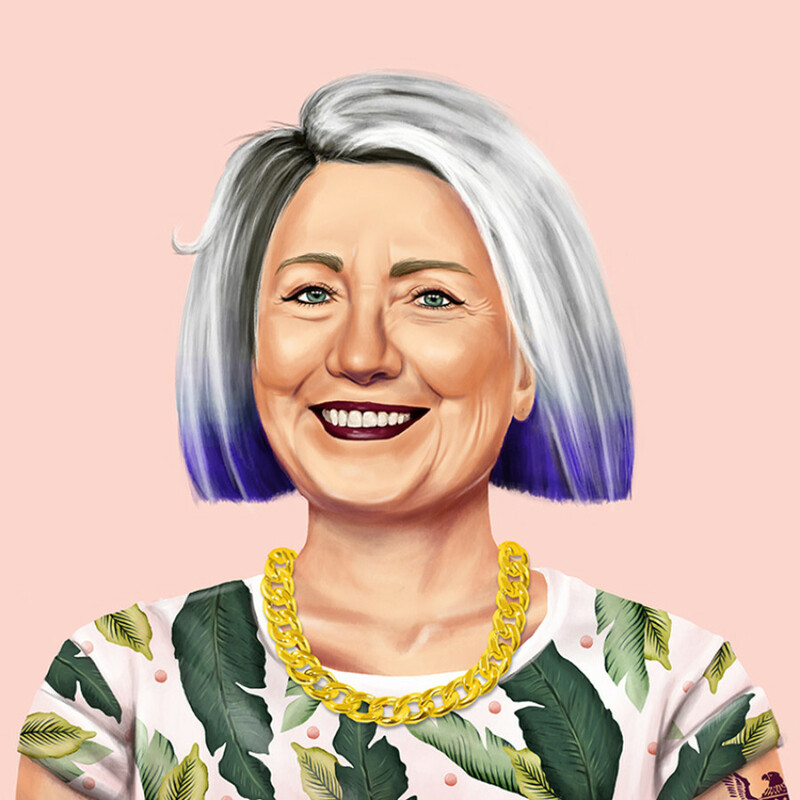 All images are shown courtesy of Amit Shimoni, who maintains copyright ownership of HIPSTORY.